Home Insurance How to Pay LIC Premium Online? LIC policies are very essential to protect you and your family at the time of requirement. There are a lot of LIC Policies that are provided to meet your different needs. To keep the LIC policies in action you must pay the premium in time. There are various plans and payment methods offered by the LIC which can be stipulated Monthly, Yearly, Half Yearly, etc. but paying premium visiting the bank branch can be a problem with a busy life. 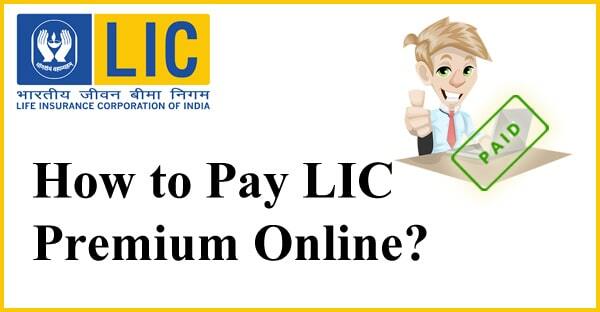 To facilitate the user and expand the options for them LIC provides the policyholder with online premium paying policy. Next step will show you the number of policies for which premium is being paid and the total premium amount to be paid. Click on ‘Check & Pay’ to make the payments. You will be provided with three options to pay the premium, select as per your convenience. After selecting the option then click on ‘Check & Pay’ to make the payments. Select the policies for which you wish to make payments and click on ‘Check & Pay’. The portal will ask you to confirm the details such as mobile number, email id and premium amount once again. Click on ‘Check & Pay’ after confirming the details. Choose the payment option you want to proceed after the successful payment confirmation your online premium payment for LIC policy is done. You can download the online receipt of the premium payment. How to Calculate LIC Premium Late Fee?